Stump Riddles in the latest riddle game for iOS. A lot of the puzzles are recycled from other riddle games, but there are a few new ones sprinkled in. 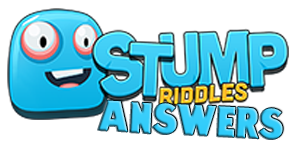 The other thing that makes this game a bit different than its predecessors, is that there are both word based riddles and picture based riddles, which adds a little more fun to the game. 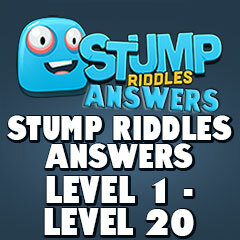 Stump Riddles Answers is your best bet for answers to every riddle and puzzle in the game. 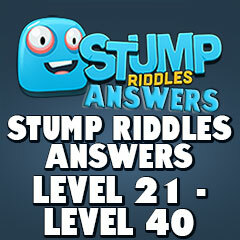 We have cheats for all single level. Just use the buttons on the Home page or the navigation in the sidebar to find the puzzle that you're stuck on and we'll show you the answer.